How about “economics for idiots” for all of us out there who might have trouble remembering what we have learned from the Great Recession as well as the Bush “build the rich” program of recent years? Thanks to the Times we have this today in easy to access fashion. Here’s Joseph Stiglitz, Columbia professor and Nobel laureate, on how inequality is preventing financial recovery and growth. 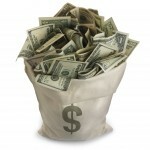 Weakens the middle class and their ability to drive the economy with consumer spending. Hollowing the middle class means that they are unable to invest in their future, by educating themselves and their children and by starting and improving businesses. Inequality is associated with more frequent and more severe boom-and-bust cycles. Now if we could just get people to learn these lessons…. New Orleans Being immersed in the issues of fairtrade because of ACORN International’s partnerships with coffee cooperatives in Honduras and the fact that Fair Grinds Coffeehouse is a 100% fairtrade house, getting a flyer for a neighborhood screening of a documentary called The Dark Side of Chocolate that promoted a “free chocolate tasting [fair trade]” seemed like an obligation and an opportunity to represent, so away we went. 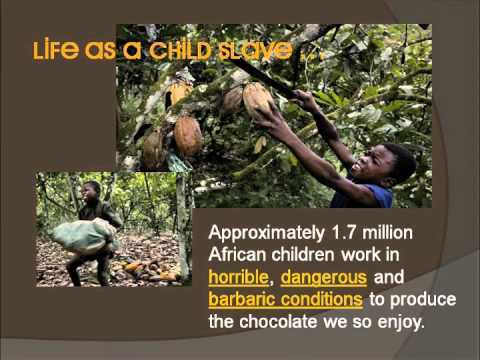 It turned out that the film had nothing to do with fairtrade, and in fact was more horribly about slave trade and child trafficking and exploitation in western African, particularly around the Ivory Coast which produces 42% of the world’s cocoa and its neighboring countries where the children are harvested for the work. The documentary was an investigative work by Danish filmmakers Miki Mistrati and U. Roberto Romano released in 2010. Their objective was straightforward. They had read reports that there was child trafficking into the cocoa plantations that amounted to slavery, since the children (9 to 15 largely) were given machetes but not paid for their work and absolutely held against their will after being recruited on promises of wages that didn’t exist. They knew there was a protocol agreement signed between the International Labour Organization (ILO) and most of the major chocolate companies in the world (Nestle, Mars, Hersey, etc), banning the use of child labor and pledging best efforts to prevent it and not to purchase cocoa from abusers. They wanted to see if this corporate social responsibility effort was being enforced and was working. I’m not giving away the ending. There was never any suspense in the film. It was clear from virtually the minute the filmmakers hit the ground in Mali that child trafficking was ubiquitous on the borders with the Ivory Coast. They used secret, hidden cameras that ended up following motorcycle taxi traffickers picking up youngsters being shepherded to the slaughter by child smugglers and then driven on the back roads across the border. Later the filmmakers and their local helpers from bus drivers’ unions and NGO’s could walk into plantations contracting with the big companies virtually unimpeded and see children working everywhere, swinging the machetes, hauling the heavy cocoa and piling in up to be moved to the next part of the production process. This was not a Michael Moore drama. There was no humor here. There were of course the corporate denials of our “lying eyes” and then their retractions and spinning when it turned out that even Interpol had conducted busts freeing scores of children. The companies’ final retreat was to argue simply that they contracted with the plantations and had no responsibility or knowledge of what happened in the fields. Yeah, right! The economics were also clear. The market price for the raw cocoa beans in the field was about one euro per pound. The price of a child was about 235 euros. The companies could make 40 chocolate bars from a pound of the beans. Profit aplenty, particularly if you look the other way from the real and hidden costs of raw exploitation of people, production, and resources. Fairtrade is another, but related matter. The price premium on fairtrade chocolate that Fair Grinds used to source from Ghana is huge and unfortunately the market, and consumer recognition of the horrors that form the foundation of much of the plantation culture, are largely unknown. We stopped carrying it, because we couldn’t move the stock at any price that made sense even to our faithful customer base. Meanwhile it’s thanks to groups like Green America (formerly Co-op America) which is distributing this film and local initiatives that made this film available like Catholic Charities, the Archdiocese of New Orleans, and Café Istanbul that we stumbled into the dark world of chocolate. One chocolate “addict” I know well sighed and sadly said, “I hate paying more and eating less, but it’s the right thing to do, so what choice do I have?” I walked away thankful chocolate was not something I really had to give up, but feeling like we were a long way from winning any justice for child or other cocoa workers in the plantations of Western Africa despite that knowledge that small steps always begin long journeys.